Morning light is so magical and changes by the moment as well as the season. It's impossible to capture the essence of its ethereal glow in a still photo. This time last year our pavers and pergola were being installed. You can see photos and read about the install here. Brrrr... that reminds me it was a much colder start to December in 2014 than it is today. Since it was completed this is where I am each morning relishing the sweet dawn of each day. I love how the southeastern sky is aglow beyond the cypress hammock (two lots away from us.) I feel so blessed to have this majestic natural view as the background of our garden! I'm sure you are like me and notice the unique beauty of every season. Happy gardening, Meems. 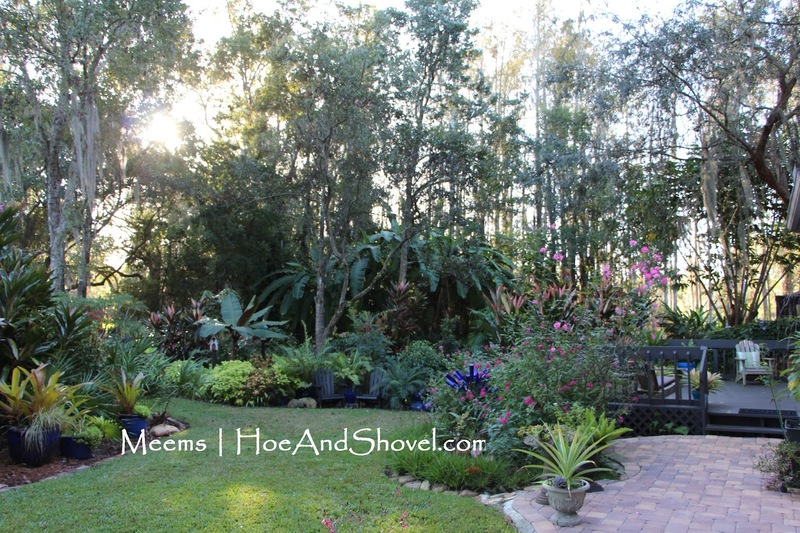 or https://www.facebook.com/HoeAndShovelGarden/ if you need to copy and paste. All material (text and photos) © 2007-2015 is authored by Meems for Hoe and Shovel Gardening Blog. Unauthorized reproduction prohibited. It is such fun to see your garden when mine has shut down for the year. I always get these crazy ideas. Your garden always looks so pretty. There's nothing better than 'first light' in a garden. Yours is beautifully lush, as always. You have a beautiful piece of paradise and what a way to enjoy it every morning. So gorgeous and tranquil. Thank you for sharing your piece of heaven with us. I know the morning glow is lovely, but I feel that the sunset glow is even more magical. But then again, I am not a morning person! That view to the east is stunning! 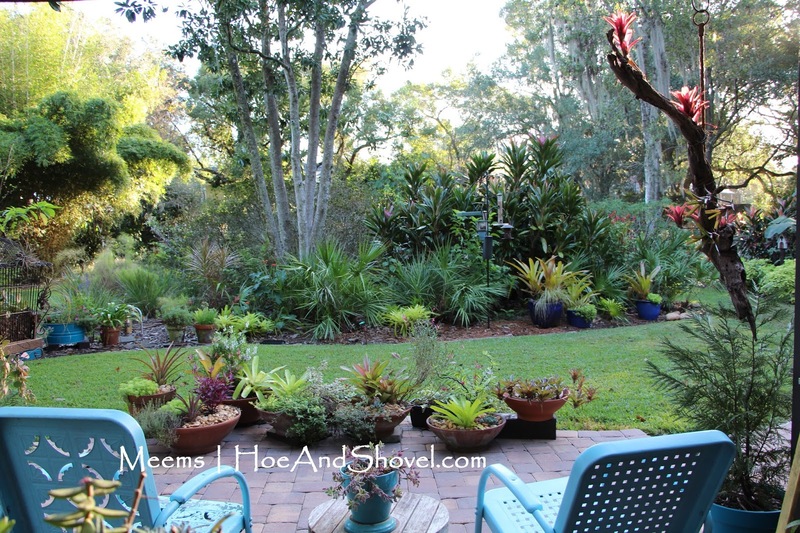 your yard makes me miss Florida gardening a lot!